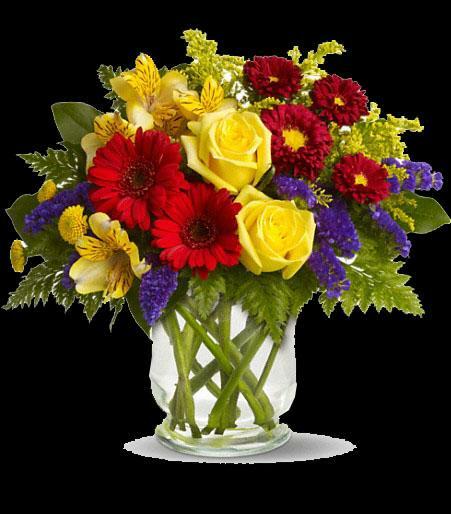 Yellow roses, alstroemeria, and button spray chrysanthemums, red miniature gerberas and matsumoto asters along with purple statice, salal and fern are delivered in a lovely hurricane vase. It's a garden parade to be proud of! Approximately 14" W x 13 1/2" H.